The big question in Tamil film trade is whether Suriya’s Selvaraghavan directed NGK will release for Diwali 2018? If NGK releases for the festival of lights, it will have to take on Vijay’s Sarkar directed by AR Murgadoss. Trade feels that two big films releasing together will lead to an epic clash, and the box-office will get divided. Fans of Vijay and Suriya have been trolling each other on social media platforms on the Sarkar versus NGK clash. 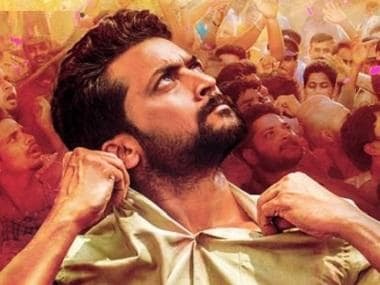 However, due to some delays in the shoot of NGK, rumours were rife that the film has been postponed to Christmas. But the latest we hear is that NGK is on track for a Diwali release as director Selvaraghavan is spending day and night completing the shoot. For Suriya, NGK is an important film as he is working with the maverick director Selvaraghavan for the first time. 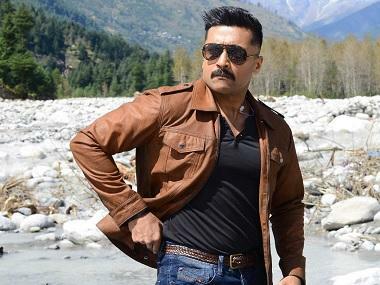 Suriya needs a big hit as his last few films didn't bring in the huge numbers that one associates with the star. On Friendship Day, SR Prabhu, the producer of NGK, tweeted — "Hey Guys! Many are asking for release update on #NGK .Sorry for delayed response. We are little behind schedule & trying to catch up. Will update in a weeks’ time. Meanwhile stop fighting with each other! Not worth it!! #HappyFriendshipDay"
Now, the latest news is that both Sarkar and NGK are in the same 'political thriller' genre. Today, the most popular genre in Tamil cinema after Jayalalithaa’s death is Kollywood’s larger-than-life superstar’s doing films laced with political messages. The story is simple — A hero who is politically conscious is fighting corruption and anti-people policies of politician-big business nexus. And there are enough 'real life' incidents happening on a daily basis in Tamil Nadu politics to take inspiration from. As Rajinikanth and Kamal Haasan have clearly spelled out their political intentions, younger stars also wants to ride on it through their welfare associations and NGO’s. Recently, Rajinikanth’s Kaala had a lot of subtle political messages, and Kamal Haasan’s Vishwaroopam 2 has some hard-hitting political punchlines. Last year, Vijay’s Mersal turned out to be a super hit as it had a lot of political dialogues on Modi government policies, including GST and demonetisation. There is a feeling among directors that when big stars are shown as crusaders trying to get justice for the common man, it works. The 'political thriller' genre is the new mass formula. Though everything regarding Suriya’s NGK is kept under the wraps, a picture from the film set got leaked. It shows a political meet full of banners welcoming state youth wing president of Kaakum Munnetra Kazhagam (KMK) NG Kumaran MLA. And the posters on the sets clearly show Suriya dressed in Tamil Nadu politician attire of white dhoti and shirt as NGK! Poster for NGK/Image from Twitter. Trade knows that solo big hero release maximises business during festivals. Now, with too many big stars and competition at its peak from other language films, festival releases are no longer the monopoly of big stars. Vijay’s Diwali release Sarkar already faces stiff competition outside of Tamil Nadu from Aamir Khan’s Thugs Of Hindostan, and a week later, the Hollywood fantasy action drama Fantastic Beasts: The Crimes of Grindelwad. Suriya’s NGK had announced even before shoot started that it would be a Diwali 2018 release, creating hype and expectation among fans. And if it pushes its release, the near future prime dates are already blocked — Rajinikanth’s long in the making big budget 2 Point O is slotted for 29 November and Karthi’s new untitled film for Christmas and Ajith’s Viswasam will definitely be the big Pongal release. And Suriya has already two biggies slotted for 2019 — KV Anand directed multi-starrer for summer and Sudha Kongara film later in the year. Any which way you look, NGK should hit the screens for Diwali 2018.